When Joseph was a baby, his grandfather made him a wonderful blanket. A few years later, his mother told him that the blanket was worn out and should be thrown away. Joseph did not want to give up his blanket and told his mother that his grandfather can fix it. Sure enough, Grandpa has “just enough material” to make a wonderful jacket. Over time, Grandpa used the material to make a vest, then a tie, then a handkerchief, and finally a button. 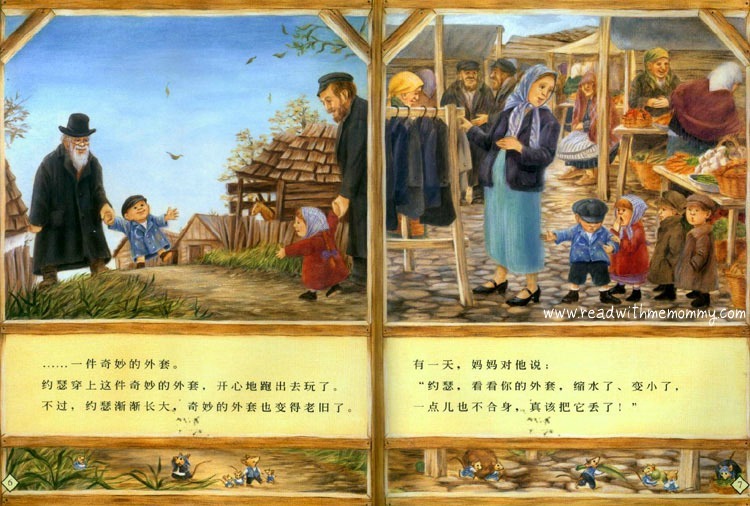 When Joseph lost the button, his mother declared that even Grandpa cannot make “something from nothing.” The next day Joseph went to school and started to write. He realized he had “just enough material” to make a wonderful story. 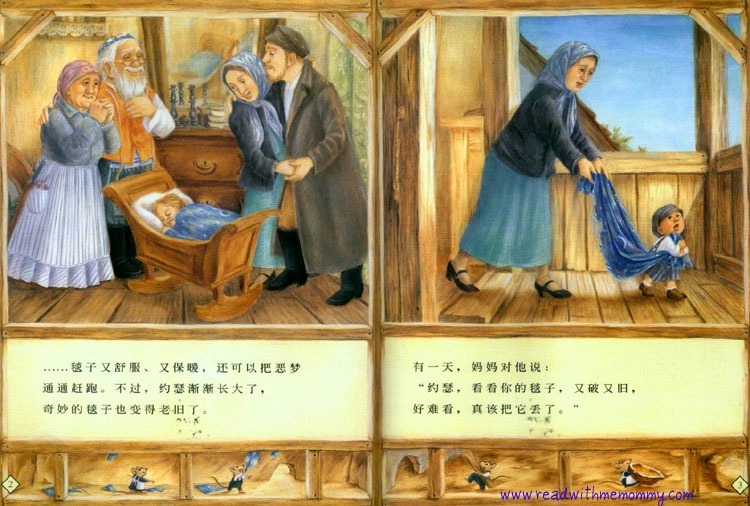 This warm story was adapted from a Jewish folk tale and offers a loving portrait of shtetl life in Eastern Europe. A simple yet interesting book that parents can share with their child. Along the way, parents can introduce to the child the various types of items, such as jackets, handkerchief, buttons, etc. Parents can use this book to teach the kid the importance of recycling. 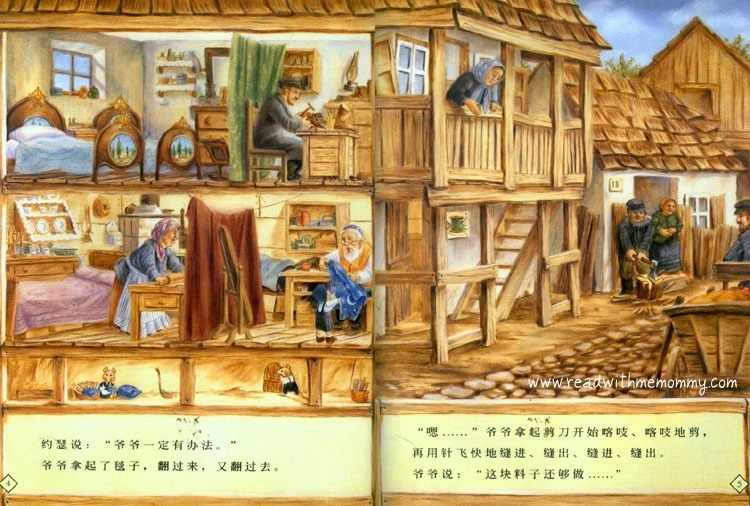 If you look carefully at the pictures, you'll notice that this is a very special book with "picture within picture". On every page, you'll notice a mouse and his family using the "leftover materials" in their daily life. See our sample pages carefully and you'll appreciate what we mean. This book is in soft cover. Simplified chinese. No hanyu pinyin. 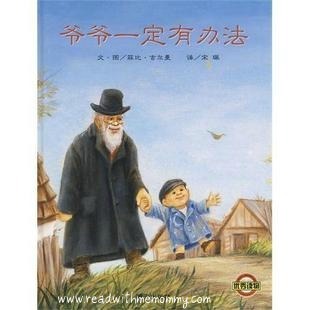 If you are looking for books on the topic of "Saving The Earth，Recycling" etc, you may also like to take a look at "When We Eat Up The Earth" ［如果地球被我们吃掉了], where parents can use the book to educate their child about protecting our mother earth.